It’s the end of an era on Sesame Street: The man who has given voice and life to Big Bird and Oscar the Grouch for nearly 50 years is hanging up his big orange legs. Caroll Spinney, 84, has performed the roles since the show’s very first episode in 1969. He had met Jim Henson at a puppetry festival in 1962, and Henson invited him to be a part of this new show he was creating. Playing Big Bird all these years has been a big job, in part because of the beloved creature’s oversized stature: 8 feet, 2 inches. The role requires its puppeteer to hold his arm high in the air throughout, to maneuver Big Bird’s head. 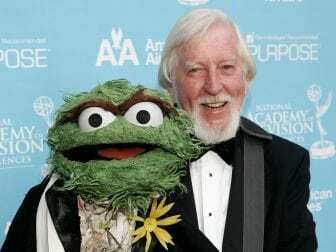 A few years ago, Spinney stopped doing the puppeteering of Big Bird, The New York Times notes, but continued to voice him and Oscar. He has appeared in thousands of episodes. Although he is retiring this week, his final performances will air on HBO next year in the show’s 50th season.